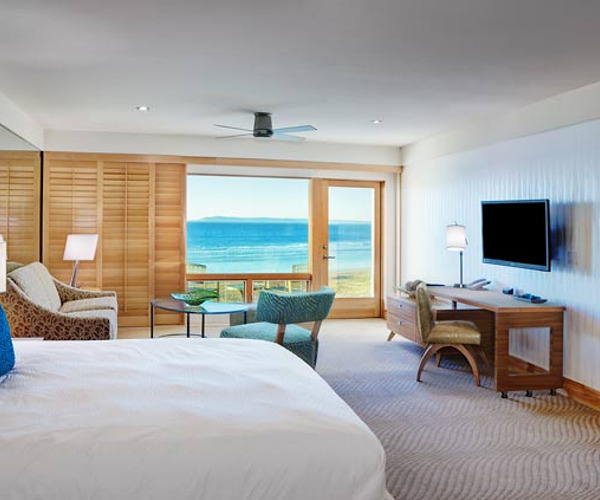 San Diego’s Pier South Resort, Autograph Collection, invites guests to discover “a new definition of casual cool.” The modern beach resort hosts 78 graciously appointed guest rooms, with separate living and bedroom layouts. Private balconies afford 180-degree shoreline views, while bicycles, kayaks, paddleboards, and boogie board rentals invite guests to dive right into the Southern California lifestyle. The adventurous can also sign up for surf lessons and beachfront yoga. The full-service D’ames Spa provides pampering with an extensive variety of wellbeing and beauty treatments, and the sparkling heated pool and cabana chaise lounges offer a relaxing respite. A Silver LEED-certified hotel. D’ames Spa is a full-featured wellness oasis located on Seacoast Drive, Imperial Beach’s beachfront thoroughfare. Inside this beautifully disigned spa has individually designed treatment rooms, where an array of services—designed to delight the senses and rejuvenate mind and body—take place. A complete facial menu, various therapeutic massage, body wraps, and other therapies are also available. Pier South Resort, along with its lovely, seaside surroundings, provides a wealth of relaxed fun ideal for those seeking a laidback vacation. Guests can bask in the sun along the Imperial Beach Pier, easily accessed from the Coronado beachfront hotel, or take a short drive to visit the San Diego Zoo, Balboa Park, and Sea World. Bargain hunters and shopaholics alike can enjoy the stores at Seaport Village and the Gaslamp Quarter. Or, visitors can keep their workout regimens intact in the hotel’s on-site fitness center; there is also a children’s pool and whirlpool. Guests enjoy immaculately decorated suite-style rooms replete with private balconies, affording stunning seaside perspectives. The well-appointed, 650-square-foot rooms feature pillow-top beds with down pillows and 300-thread-count Italian cotton linens; C.O. Bigelow bath products; Keurig coffeemakers; and fully stocked minibars. Travelers will stay connected with high-speed WiFi Internet and a professional, pivoting credenza work desk, plus, take advantage of technical touches such as a 42-inch, high-definition, flat-screen TVs. 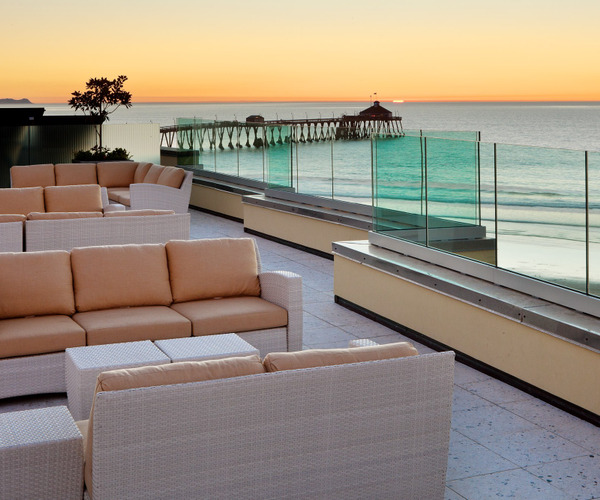 Visitors can dine at SEA180, an Imperial Beach restaurant that blends contemporary flavor and sweeping, 180-degree beachfront views. This waterfront dining option serves elegantly plated and classically coastal cuisine.